Removal ProcedureRecover the A/C system. Refer toRefrigerant Recovery and Recharging.Relieve the fuel system pressure. Refer toFuel Pressure Relief.Remove the air cleaner outlet duct. Refer toAir Cleaner Assembly Replacement. 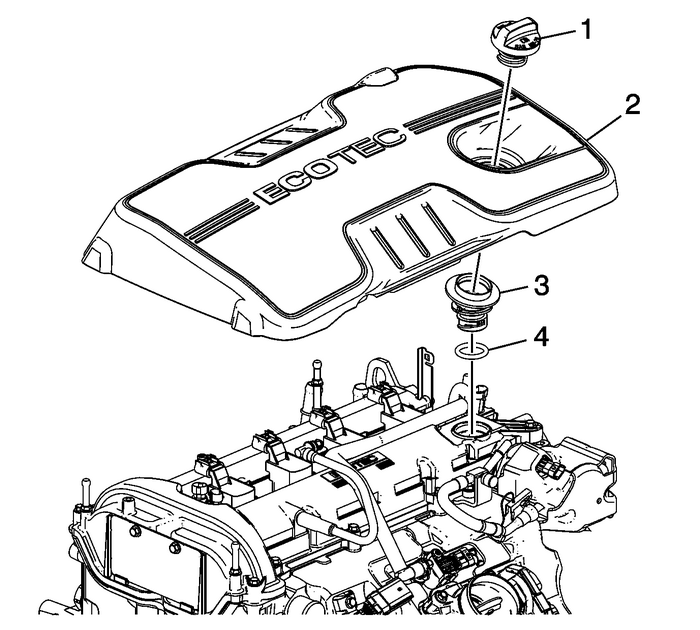 Remove the oil fill cap-(1).Remove the intake manifold cover-(2). 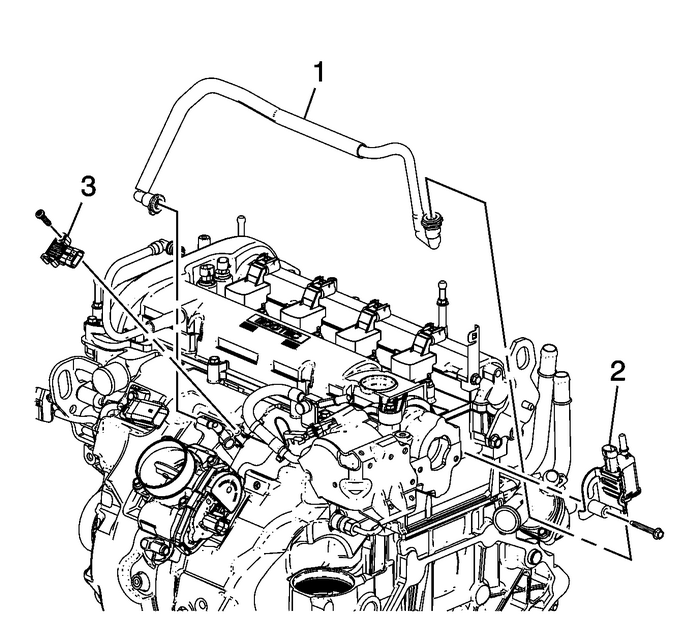 Remove the evaporative-(EVAP) emission canister valve tube-(1) from the intake manifoldand reposition.Remove the MAP sensor-(3) electrical connector. 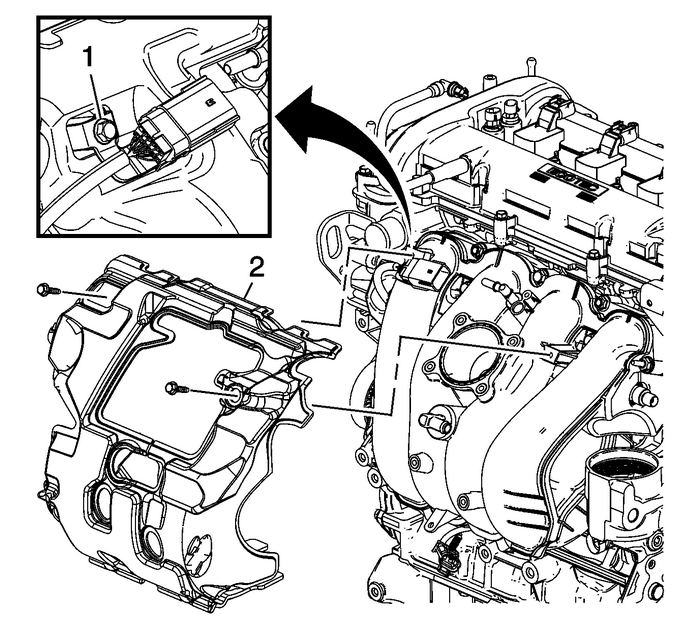 Remove the throttle body-(1). Refer toThrottle Body Assembly Replacement. Remove the fuel pump cover-(3) and insulator-(2). Refer toFuel Pump Cover Replacement. 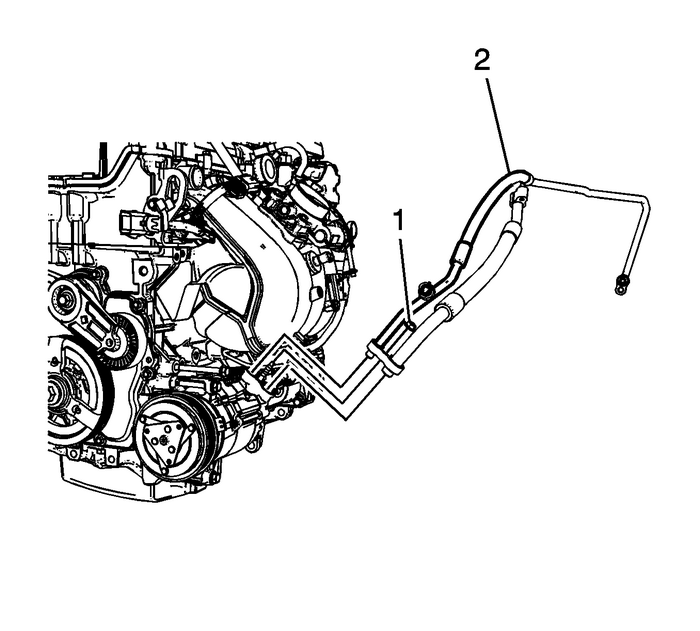 Disconnect and reposition the low pressure fuel feed pipe from the fuel pump. RefertoMetal Collar Quick Connect Fitting Service. Remove the fuel rail harness connector bracket bolt-(1) and intake manifold insulatorbolt.Remove the intake manifold insulator-(2). 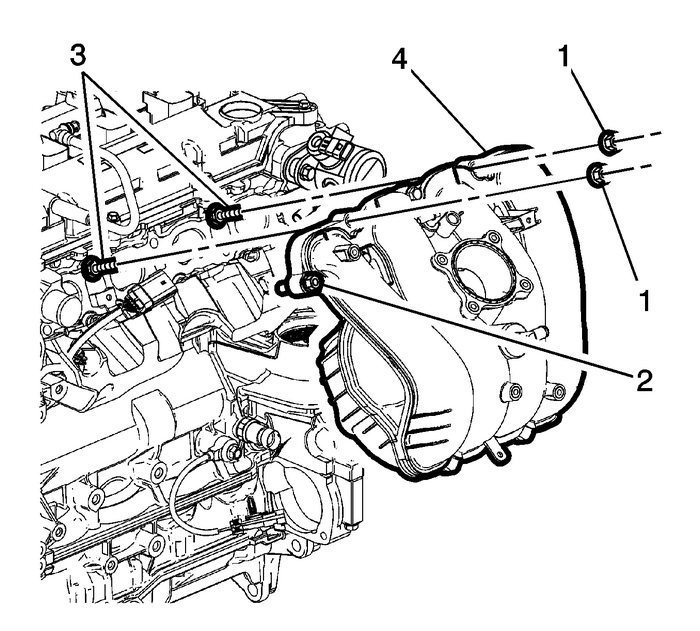 Remove the A/C line nut (1) and line (2) from the compressor and reposition the lineto the side. Note:Removing studs allows the intake manifold to be removed without removing the fuelpump. Position the intake manifold-(4) and hand start the bolts-(2). Install the intake manifold studs-(3) and tighten to 15-Y (11-lb-ft). Install new seal washers to the compressor hose. 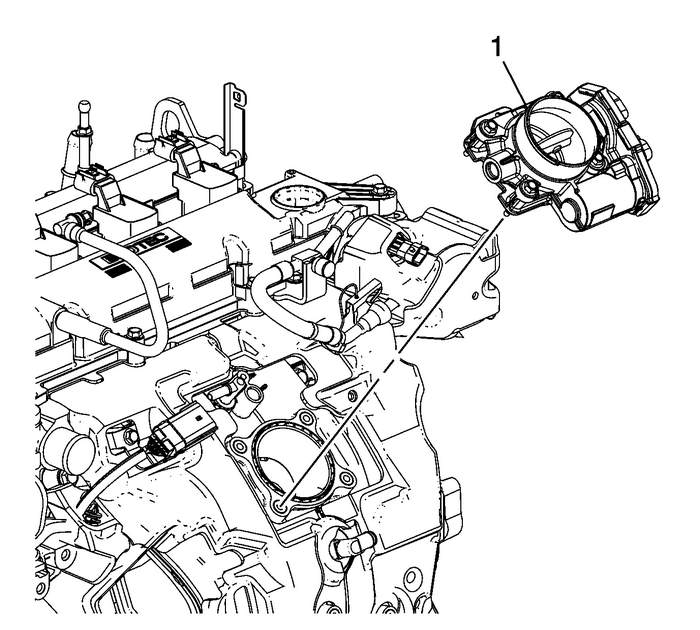 Refer toAir Conditioning System Seal Replacement.Install the compressor hose (2) to the compressor.Install the compressor hose nut (1) to the compressor and tighten the nut to 22-Y (16-lb-ft).Connect the engine harness electrical connector as necessary. Install the fuel pump insulator-(2) and cover-(3). Refer toFuel Pump Cover Replacement. Install the low pressure fuel pipe assembly-(1). 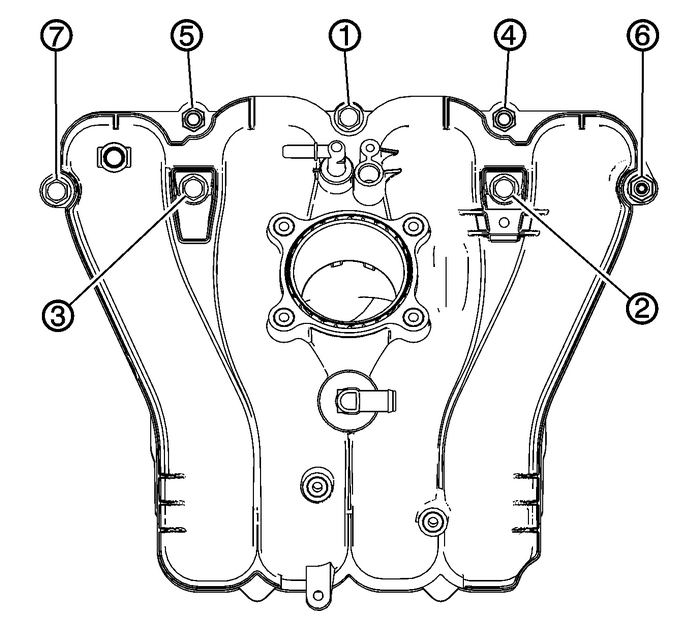 Install a new throttle body gasket.Install the throttle body-(1). Refer toThrottle Body Assembly Replacement. 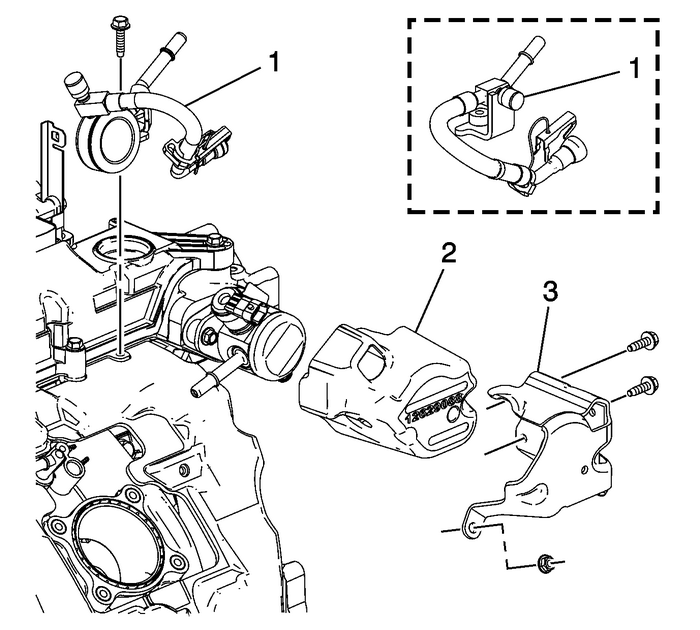 Install the EVAP canister valve tube-(1).Connect the MAP sensor electrical connector. Install the intake manifold cover-(2) onto the camshaft cover ball studs.Install the oil fill cap-(1).Recharge the A/C system. Refer toRefrigerant Recovery and Recharging.Install the air cleaner assembly. Refer toAir Cleaner Assembly Replacement.